The blue bike is a type of hire bicycle available at 44 train stations, including the railway station in Mol. 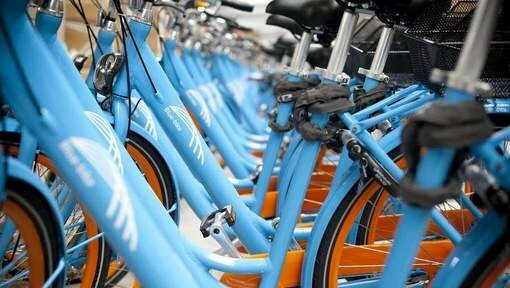 Pick up your blue bike at one of our railway stations. After use, the bicycles should be returned to the station. The cycle centre ('fietspunt') is open on weekdays from 7 a.m. to 7 p.m.) for service. The key machines provide a 24/7 access service. For travellers over 14 years of age who would like to move around sustainably and effectively using the train and a bicycle. Whether it is for a lunchtime meeting, a city trip or a family visit. 10 Euros per year subscription fee and 1 Euro for a full day's rental (max. 24 hours).